States continue work on improving life insurance claims | Lewis & Ellis Inc.
Over the past year or so, a number of state insurance regulators have turned their attentions to the ways in which people are able to find unclaimed life insurance benefits from a deceased relative. Many of these efforts have been successful, making the process much easier for people to search for potential life insurance benefits. That kind of regulatory effort continues to unfold nationwide, potentially providing even more benefit for consumers. For instance, the state of Pennsylvania recently created a formalized process for consumers to submit search requests for potentially unclaimed funds that may exist, according to a report from the Allentown Morning Call. This is typically required because, of the hundreds of people asking for help in their own searches each year, many don't know for sure whether such a policy exists. The hope is that by creating a form that people can submit, the process can be standardized and therefore streamlined. The Pennsylvania legislature may soon consider a new life insurance law. The nascent program has already helped 10 people in just its first six weeks of existence, the report said. Altogether, the recipients received about $90,000 in benefits. The state has already processed 123 such requests. "Often these are policies a parent may have taken out and fully paid years or even decades ago, and not only the actual policy, but any correspondence with the company has been lost," Pennsylvania Insurance Commissioner Teresa Miller told the newspaper. 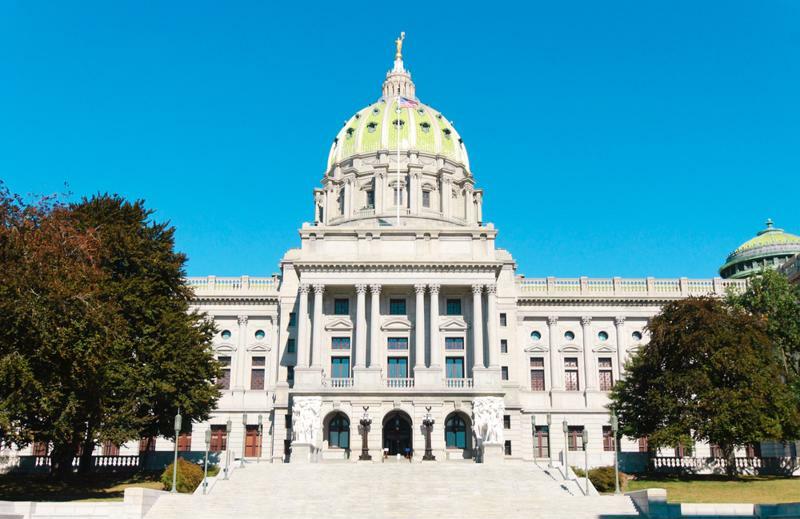 However, despite the easier process, the Keystone State also does not have a rule in place requiring life insurers to respond to the forms sent, or take any action at all, the report said. While most will certainly do so voluntarily, some might not participate in this voluntary program right now. Meanwhile, a bill has been proposed in the state legislature to put such a requirement in place, but it is not expected to go up for a vote this year. "Often family members are not aware that a life insurance policy was in place for their deceased loves one, and that they may be the beneficiary of a payment," State Rep. Marguerite Quinn of Bucks County, who introduced the bill, told the Morning Call. "Our work and this legislation will streamline that process and get life insurance claims paid in a timely fashion." Meanwhile, in the Bluegrass State, the state legislature is likewise trying to bring additional regulation to the life insurance industry in hopes of connecting more people with benefits they should have received, according to public radio station WFPL. Currently, life insurers operating in Kentucky are required to search government records to determine if policyholders have passed away, and then locate potential beneficiaries of those plans. But right now, that only applies to policies written since the start of 2012, and lawmakers want to make that law retroactive to encompass more plans and potentially bring even more benefits to residents, the report said. A similar bill passed the state's Senate last year, but did not get a vote in its House of Representatives. Like its counterpart in Pennsylvania, this latest bill, too, probably won't be voted on before the end of the year. With all this in mind, it would be advisable for life insurance companies to be a little more proactive in this kind of search, and to encourage existing policyholders of the need to notify beneficiaries of potential benefits or at a minimum have appropriate documentation in place to ensure the policy is not lost or forgotten. This can potentially help avoid some of the problems seen in the past.